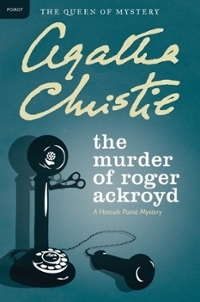 The Murder of Roger Ackroyd 0 Edition Roger Ackroyd knew too much. He knew thatthe woman he loved had poisoned her brutal firsthusband. He suspected also that someone had beenblackmailing her. Then, tragically, came the news thatshe had taken her own life with a drug overdose.But the evening post brought Roger one last fatalscrap of information. Unfortunately, before he couldfinish reading the letter, he was stabbed to death.